Transform the way you connect, game and share. 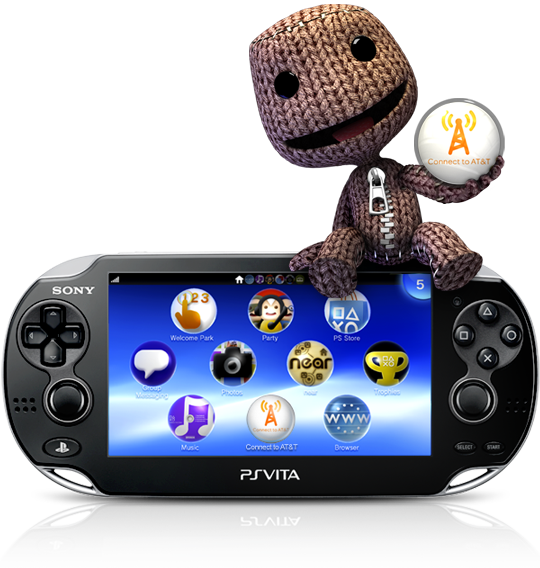 Your new PlayStation®Vita System will change the way you play. And AT&T’s Mobile Broadband Network will change where and how you play it. Discover Near, the app that lets you find out what games are hot and who's playing in your immediate vicinity, or how Gifting lets you anchor items like weapons, treasures and power-ups to specific locations where your friends can find them. Check the LiveArea anytime for the most up-to-date news, DLC and Tournament invites for the games you own. Use GPS to explore your environment, discover exclusive content and check in at your exact spot with social apps. Stay connected through in-game conversations with voice chat and text messaging through Party. Download new content and features, and explore an exciting array of games wherever you are. 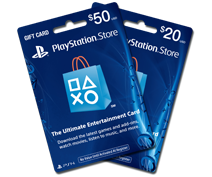 And find out how your PS Vita System, powered by AT&T's Mobile Broadband Network, can enhance your life with easy access to internet and emails. 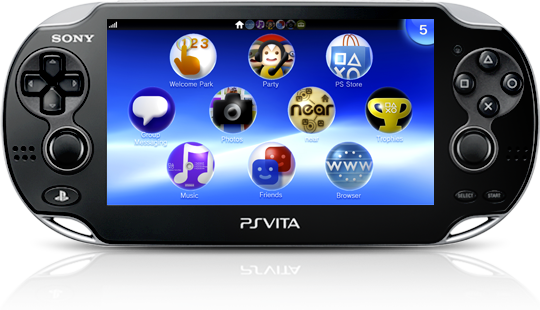 The new PS Vita 3G/Wi-Fi System, powered by AT&T's Mobile Broadband Network, will change the way you game with real-time scores and game ranking news feeds, competitive multiplayer game sessions, and cross-game text messaging with Party. Game at the speed of your mobile life style.